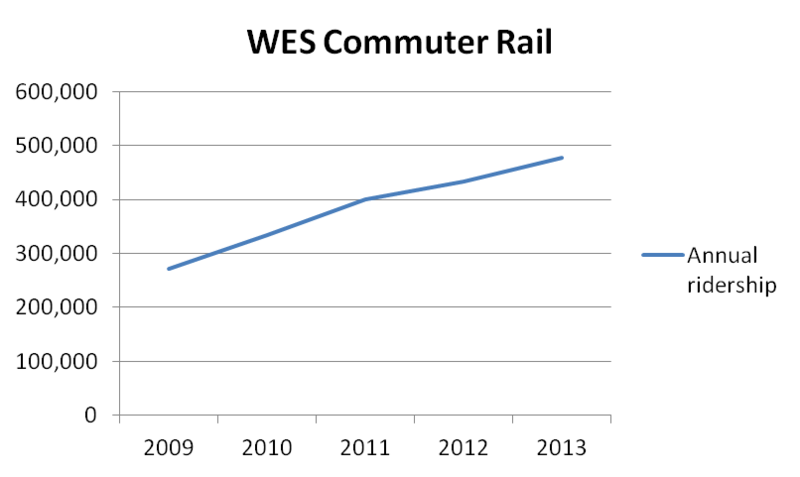 WES Commuter Rail rolls into its fifth anniversary with more people climbing on board than ever before. Since the line opened on February 2, 2009, riders have taken more than 1.9 million trips on WES. Ridership has climbed each year reaching more than 476,000 in 2013. WES provides weekday rush hour service between Beaverton and Wilsonville. It is the state’s first commuter rail line, and also the nation’s first suburb-to-suburb commuter rail service. On-time performance is 99 percent. Average weekday ridership has increased by nearly double digits each year since WES began running. In just the last six months of 2013, ridership was up nearly 16 percent over the last half of 2012. Among the new riders giving WES a go during that time is Sarah McCloskey, a new rider to WES in 2013 finds WES a welcome change from bumper-to-bumper traffic on Highway 217. “I enjoy comfortable seats, wide aisles, free Wifi and the friendly WES conductors. I also enjoy getting to know other regular riders that I see each day.” Learn more about Sarah’s commute on the How We Roll blog. As part of TriMet’s focus on continuous safety improvements, work will be done on the WES system in the coming years to meet updated federal safety requirements. In 2008, Congress passed the Rail Safety Improvement Act, requiring that Positive Train Control (PTC) equipment be installed on most of the United States railroad network by the end of 2015. 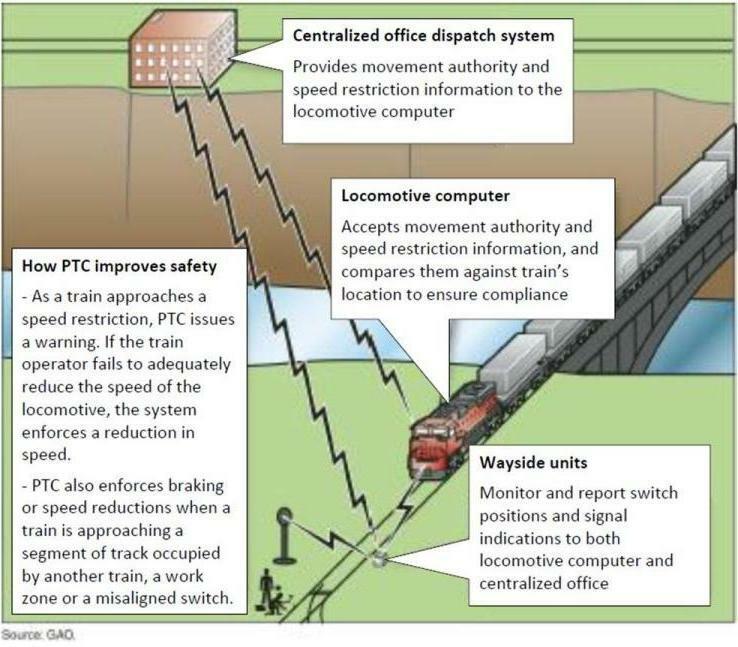 PTC regulations, administrated by the Federal Railroad Administration (FRA), require a train control system that prevents collisions primarily caused by human error, including train-to-train crashes, overspeed derailments, incursions into established work zone limits and the movement of a train through a switch that is in the improper position. The safety systems currently in place on WES – an Automatic Train Control System and a Centralized Traffic Control System – already meet many requirements of the new regulations. TriMet and Portland & Western Railroad (P&W), which owns the tracks and operates the WES trains, have worked with the FRA to define the needed upgrades to the existing train control system. WES runs every 30 minutes from about 5:30 to 10 a.m. and 3:30 to 8 p.m. Travel time along the 14.7-mile alignment between Beaverton, Tigard, Tualatin and Wilsonville takes 27 minutes.